It’s certainly is no secret that unique and engaging content is a fundamental way to bring traffic to any website. 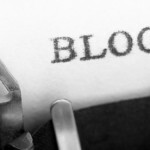 When used effectively, blog posts can serve to develop trust and lasting relationships with prospective clients. Whether business owners choose to create their own content or contract the task out to professional writers, the common question still remains; What do you write about? How to get topic ideas for your business blog is an issue that concerns most business people. There a few guidelines to consider when writing a productive post. Maintaining an authoritative voice is important, regardless of the topic that is chosen. Focusing on blog posts that relate to the business in question, or that can be covered professionally, will ensure readers that the author understands the topic, and has something of value to offer. Content without authority does not serve to develop return visitors. News and key words that are popular in current search queries are often a good benchmark when choosing a blog topic. By using sites such as Alexa, Google Hot Trends, and Google Keyword Search, authors can generate rough ideas for subject matter while still staying within the scope of their authoritative knowledge. Selecting topics that are timeless is extremely important when trying to build a large archive of blog posts. Although current events and social issues may generate significant traffic, their long term effectiveness is questionable. A visitor who might be searching for information about a particular business is more apt to return if there is a large archive of related information. Readers like to be entertained as well as informed. While many might argue that pure factual information is the backbone of a quality post, readers who find themselves entertained are likely to keep coming back for more. When considering how to get topic ideas for your business blog, keep the customer in mind. SEO and the mechanics of writing aside, a post that is not engaging will always fall flat on its face. Lead Logic offers a variety of internet marketing services. Contact us for more information on how to set up and manage your business blog. Lead Logic is a Toronto internet marketing company that offers a variety of internet marketing services. Contact us for more information on how to set up and manage your business blog.